First, let me say that I loathe snow. My loathing is contingent upon the depth of said white stuff. The deeper it gets, the loathier I get. While the weather forecasters have reminded us of this year’s snow deficit, that is of little consolation to me. I dislike dressing in layer upon layer just to go outside to get the mail. The cardiologist has given me strict orders to not even think of shoveling this marshmallow world. And here on Long Island, we are very often on the cusp of snow and water, which means that a snowy day results in a super-sized slushy. So, let me say that I will not powder this post with words like fluffy and blanket and sugar. This will not be an ode to snow. That, at least, is my first reaction when I see snow. 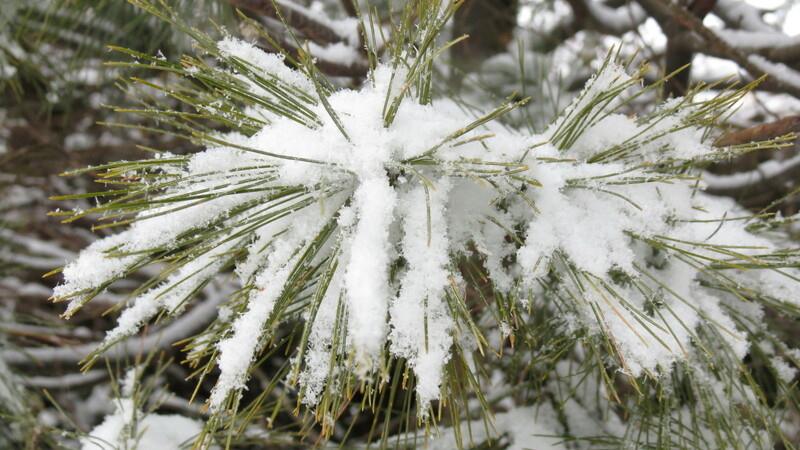 It isn’t until I really look at snow that I can embrace its wonder, how it blows and drifts and catches on branches. 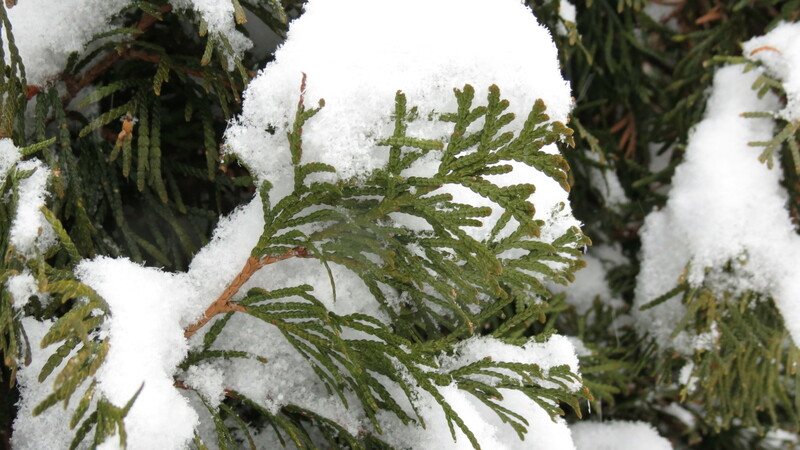 Snow, I think, makes me appreciate evergreens more than ever. 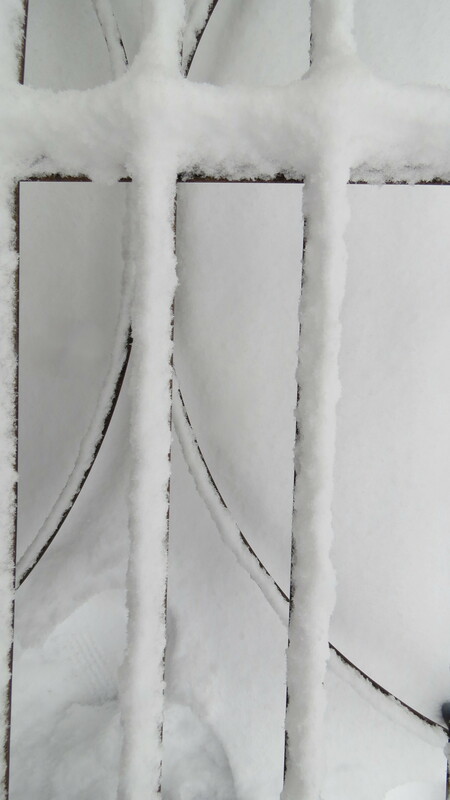 My window of awe is a brief one, and this is my moment to enjoy winter white. I am always amazed at the smell of snow in the day preceding a storm. Sniff carefully, and you can sense the scent of what’s to come. Cleaner. Fresher. Crisper. 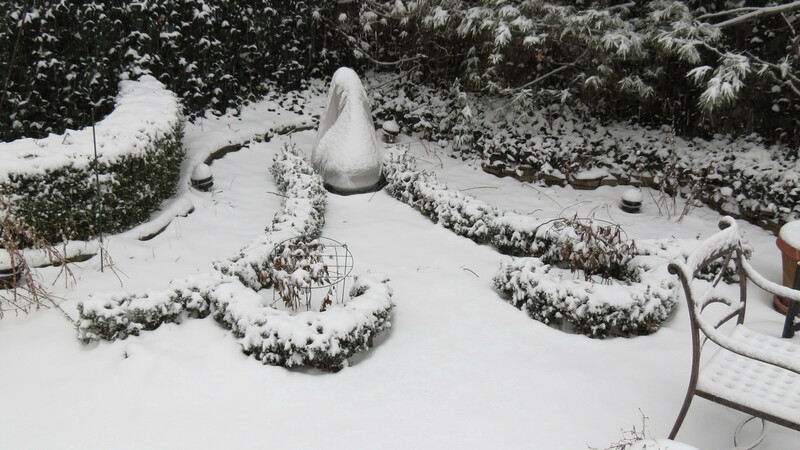 I actually owe snow for inspiring me to create a knot garden several years ago. I was hoping to create some winter interest in a perennial bed that hadn’t done too much. The space was oddly shaped and too small for the grand formal gardens that I had seen in books and on travels through Europe. But what if my garden could be a small portion of an implied larger garden? With that in mind, I placed the Boxwoods about, remembering that the fountain (now protected from the cold) would be the centerpiece of the larger garden, had one really existed. And now my window of awe is beginning to close. Plows are about, and the snow along the side of the road is becoming dirty and gray from road soot and exhaust. So much for winter white . . . I wonder what this oddest of winters will give us next. I’ll be sure to keep my eyes open. Love the white pine & arborvitae but the last shot of the fence is my favorite. Ditto your attitude re: snow. When I found myself still wearing corduroy & multiple layers of polar fleece in MAY 2011, I about reached the end of my rope. Given my druthers, I’ll take this winter (so far) over last. Snow and cold are needed to give my 100+ jugs of winter sown perennial seeds the “moist chill” they require in order to germinate. Another week or so ought to just about do it. It can stop then; I’d be good with that. I agree. I love a white Christmas — but by January 2, I’m ready for shorts and sandals. Stay warm! I do love the sense of ‘time out’ a big snow can bring. Two years ago, when Washington, DC, had a ridiculous amount of snow that kept us home, my husband and I would walk a mile through the white streets to the store everyday for some staples — and then treat ourselves to lunch at a rather expensive seafood restaurant. Then we would trudge home and read or nap. We did this for four days “because of the snow.” It was a special time. I like your reference to the time out. Years ago, I had the “pleasure” of being stranded in Manhattan during a major snowstorm. The following morning, it was a treat to see the city slow down to a snail’s pace. ugh, I’m with ya. I hate it. I would not hate it so much if I could grow boxwood, like you can. 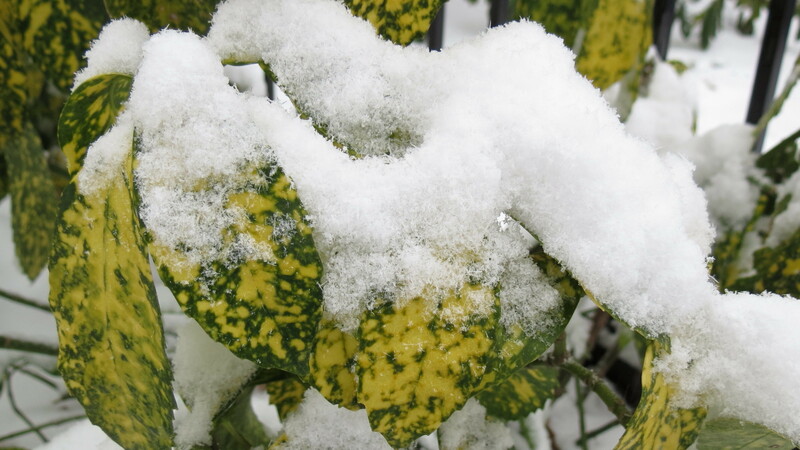 While you suffer with slushy mess, I’m on the cusp of white death and tundra, with the winds of agony blowing onto the boxwood, they only survive in my north facing foundation bed. Your knot garden is incredible. I am so glad to have found your blog and look forward to seeing it in the warmer weather! I’m glad you found me! When it comes to winter, I often wonder why my ancestors — who arrived in North America a few centuries ago — never kept going a little more south. Oh, we’ll. Bundle up and stay warm. Snow is certainly at its best when it is freshly falling. As you note, there is nothing like evergreens to capture it and show it off. A look at our forecast says the snow on the ground today will be gone again by Tuesday due to rain and high temps. I feel like we’ve been on a never ending roller coaster for the last few months. It’s the same here. Right now, the thermometer says 27* F; on Monday, it will be 50* F and raining. Yes, I think roller coaster is an excellent analogy. Nope, I was a real He-Man. I bundled up with a shirt, sweatshirt, fleece, scarf, and jacket. If I could have worked the camera with gloves, I would have. And once the photos were finished, I stayed inside until the snow stopped. But the days are getting longer! 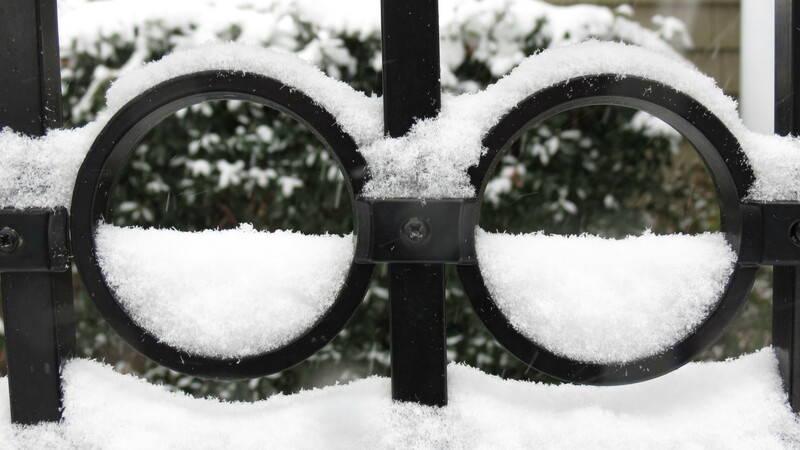 You must admit though that snow gives such lovely photographic opportunities! Yes, I do admit that. 🙂 I only wish I could clean off the set once the photo op is over. Love the knot garden. I agree – snow is beautiful, and the smell is fresh, but I grow tired of it very fast, and am glad I live where it is a rare sight. Beautiful images, though! At this stage, going outside to take photos is about the only thing I want to do in snow. 🙂 The weather for tomorrow? Rainy and mild. What a winter! Beautiful shots! I must admit, they make me a little homesick. 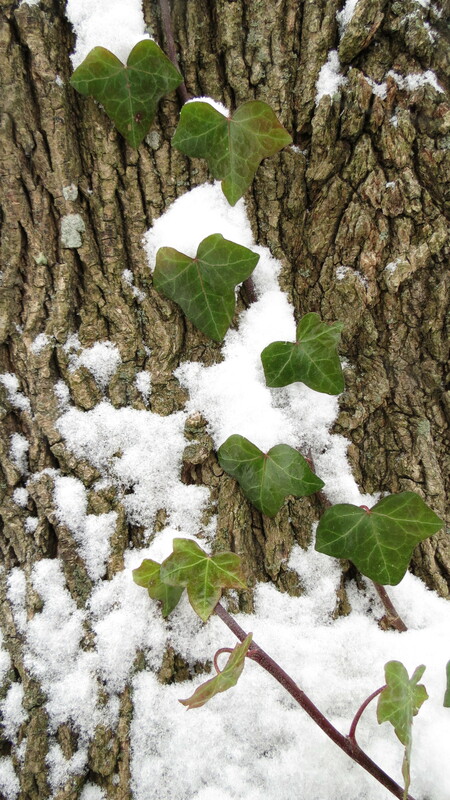 As one ancestor who had the sense to move south, we have had no snow yet. 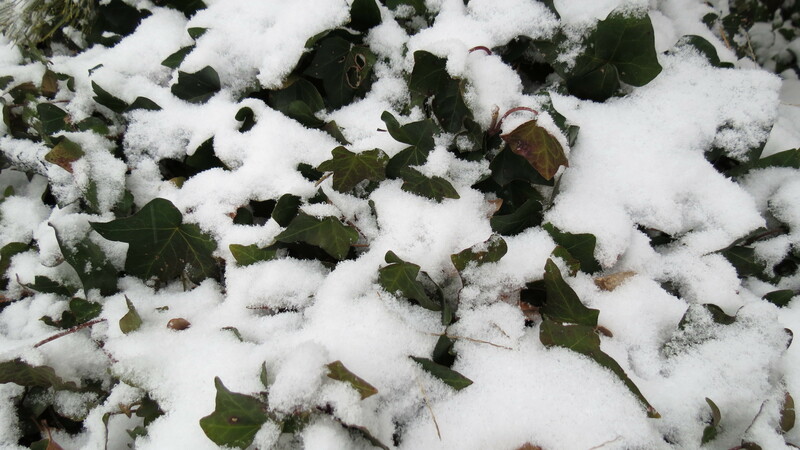 I do love it when it is freshly fallen, but don’t like the work it requires – shovelling, bundling up, etc. Except for last year, which was an unusually rough winter, snow only lasts a day or so here in central VA. It’s pretty…and it’s gone! Most times it doesn’t even get a chance to get to that nasty, sooty color NY snow gets to be (UGH!!!) Anyway, keep warm and safe! Thanks for sharing your winter beauty with those of us who don’t get to see too much of it! Hi. If I could, I’d bottle some snow — grime and all — and mail it to you. Actually, this particular snow was fleeting. Most of it melted today. It feels more like spring than winter. Enjoy the day! Kevin – now have I not had a proper browse here in your blog before? Love your writing, love your images. Fab. I’m glad you’re browsing now — and I’m very flattered that you’re enjoying what you find here. Cheers! 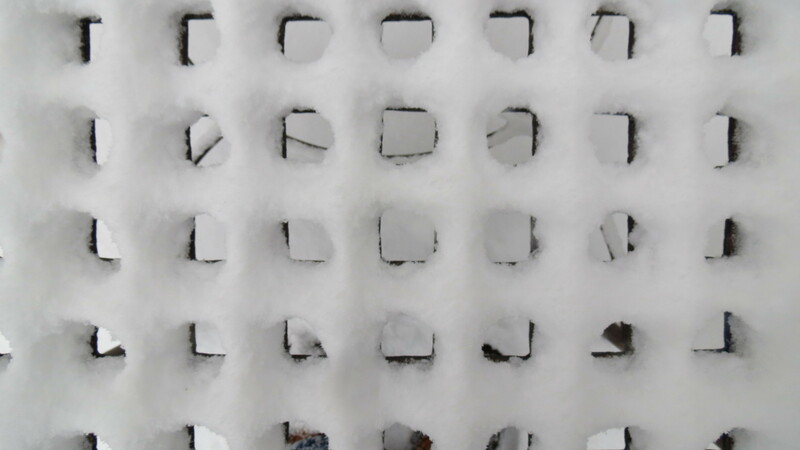 Fence in snow! keep your eyes open, very clever. I am with you, the snow is great for a few hours and then I start to think of the horrid slush which will follow. Very glad you got that little — very little — piece of humor. We had snow, we had slush, now we have spring-time temperatures. I think summer arrives tomorrow, and autumn will return by the weekend. I come bearing gifts for you!! I am deeply honored. Look for my acceptance speech! Adore “loathier”!!! I love it and will use it with abandon (you will get all the credit, of course). Implied larger garden is my mantra (I’ve started drawing knot gardens on graph paper in my implied spare time). I’m also thinking implied larger closets, implied larger jewelry collection, implied larger television, and implied larger bed (the dog takes up too much room). Implied larger wardrobe might make some people wonder about me, but implied larger shoe collection might make me more popular with other 7 wide girls. It’s sort of like implied literary elements in an essay. Sorry…implied larger headache is on the horizon…too much grading. Loving you much, Kev for the gardening idea and all of its implications. What are you trying to imply? Seriously, thanks for the laughs and the support. 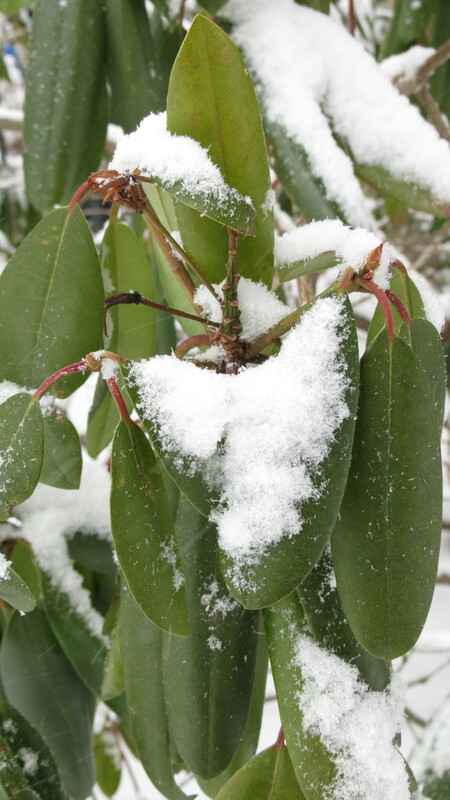 I looked at your rhododendron, they’re covered by snow, like mines! Are yours hardy? Yes. 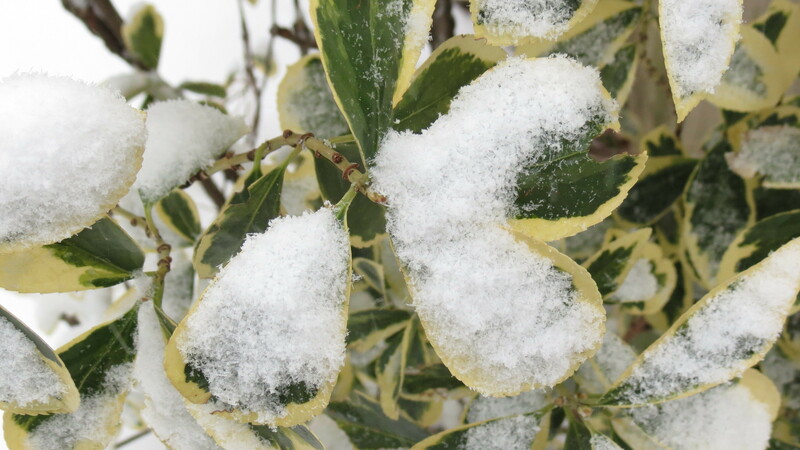 They’re actually somewhat evergreen, although the leaves droop in extreme cold. Add some warmth, and they come back. Good luck with your Rhododendrons!